The 400 dairy producers of the St. Albans Co-op Creamery increased production by two-percent this year, but now the product is being dumped by the truckload as market saturation is tanking prices. 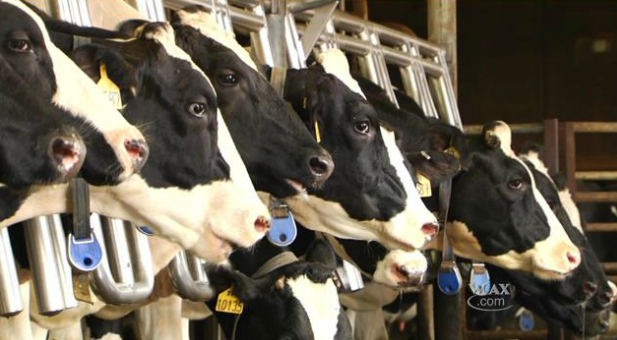 "Milk is going up and your demand is going down," said the Co-op's Tom Gates. Gates says getting some of the value is better than none. The group is converting excess raw farm milk into cheese and other non-perishable dairy products. "And we're one of just a few plants in the whole Northeast that has that ability to do that, so we're working with others in the industry to try to maintain as much of the value as we possibly can." Next time they should just claim they had a bad batch and are disposing of it. Couldn't it be considered price fixing?? Great question. But there is a long tradition of destroying excess food to keep prices high, especially during the Great Depression. Just had a Supreme Court case last week where the Federal government has the power to take a percentage of raisin crops to maintain prices at an artificial level. The Supremes said that the farmer didn't have to give up his crops to the Feds. Oh yes, my ex's sister has a farm in Minn. they are regularly paid (by the gov. ) to keep certain crops and fields empty. This is why farm states vote Democrat.